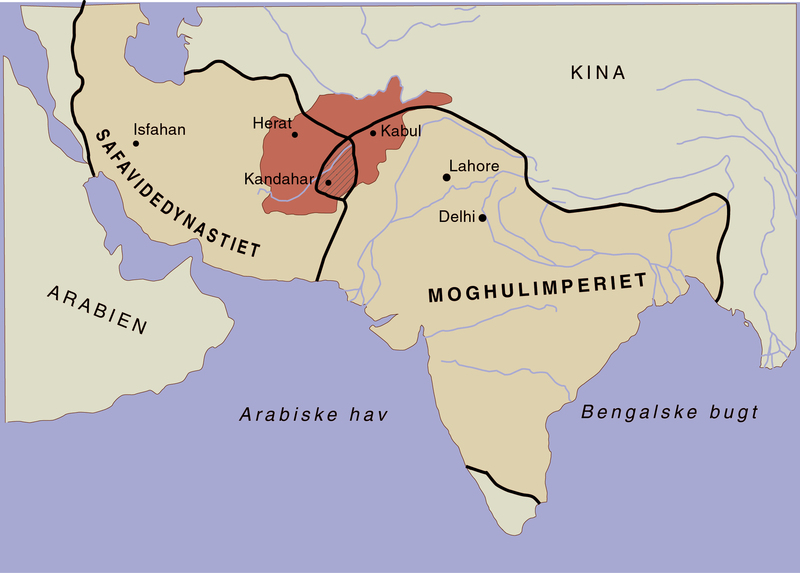 Until the mid-18th century, the territory that is now modern Afghanistan was divided be­tween the Persian Safavid Dynasty and the Indian Mughal Empire. 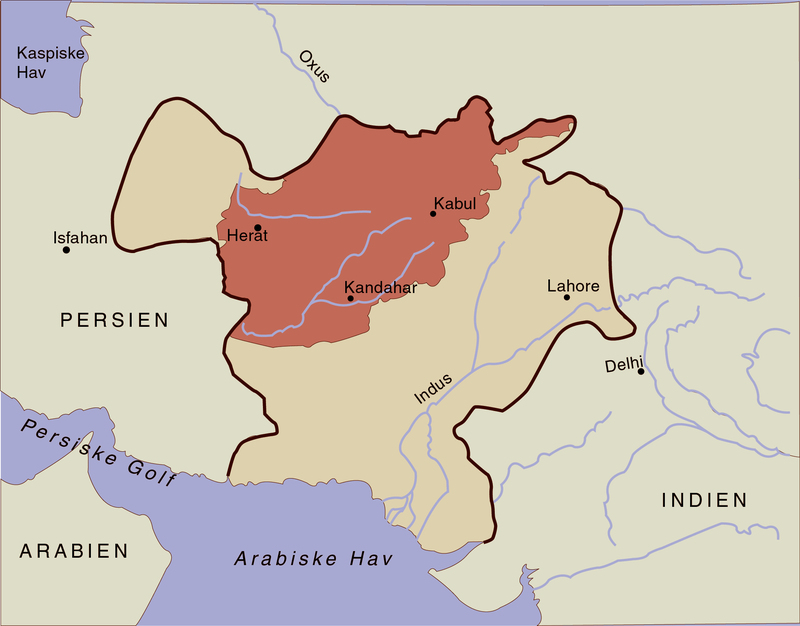 The area was inhab­ited by various tribes, the largest of whom were the Pashtuns. However, after having dominated the region for centuries, the Persian Safavid Dynasty col­lapsed in the early 18th century, and also the Mughal Empire was becoming weak. I 1747, the Pashtun tribes around the city of Kandahar chose the commander Ahmad Shah as their king, and he was quick to exploit the power vacuum. He rapidly established a large kingdom under the name of ‘Afghanistan’ – the Land of the Afghans. ‘Afghan’ is a term for the Pashtuns used by neighbouring peo­ples. From the very beginning, the political theme that came to dom­inate the history of Afghanistan was the relationship between the state and the various tribes, factions and ethnic groups of the country. In an attempt to consolidate the grip on the kingdom, the capital was moved from Kandahar to a more central location, Kabul. Nonetheless, the realm of the kingdom was shrinking because of internal rivalries and incursions from abroad. 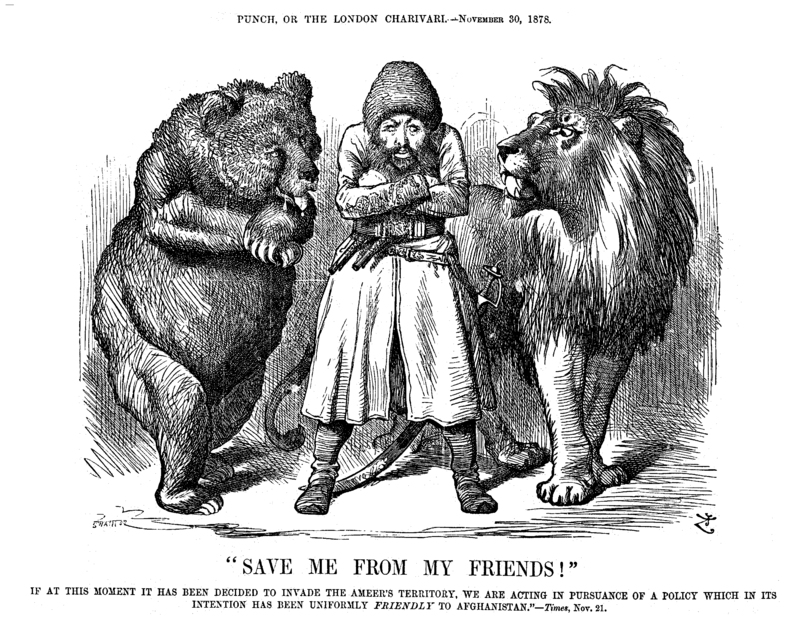 Afghanistan had become a fragile state, and in the 19th century it became a pawn in the great game between Russia and Great Britain for power and influence in Asia. The first British invasion of Afghanistan took place in 1838-’42. During this first Anglo-Afghan war, the British ravaged Kabul’s fabulous, covered bazaar. The destruction of the bazaar was avenged when the Afghans massacred the entire British force during its re­treat. In 1878-’80, the British again invaded Afghanistan to safeguard British India against the Russians, and not until 1896 did the British and Russians agree on where to fix the bor­ders of Afghanistan. This ratified Afghanistan’s status as a buffer state. 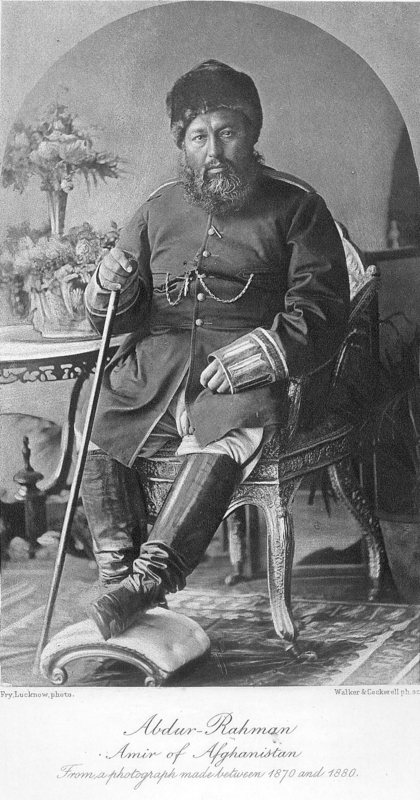 With the peace treaty, the British chose to support the Afghan Amir Abdur Rahman, who subjected all the tribes and peoples in Afghanistan to his rule.The king created a strong standing army and expanded the central and local ad­ministrative apparatus, thus enabling the state to collect taxes. In this way, the central power was strengthened vis-a-vis tribal self-government. To emphasise his religious legitimacy, the Amir appointed himself ‘Amir al Mu’minin’ – leader of the faithful. In this way, Islam became a unifying ideology against internal and external enemies. Today, Abdur Rahman is known as the king who united Afghanistan ­– and for the ruthlessness that gave him the nickname ‘the Iron Amir’. At his death in 1901, Abdur Rahman left a country in peace, relatively secluded from the world. Inspired by developments in Turkey, his successors tried to reform the coun­try in a modern direction. Especially in the 1920s, the effects of modern development began to show, and the first motor vehicles appeared to rival the camel caravans on the main trade routes. However, modernisation also caused problems. In several areas, traditional political and religious leaders revolted against for instance schools for girls, marriage reforms and the intro­duction of a new constitution in 1923, which spoke for a greater separation between state and religion. After a tour of Europe in 1928, the Western-oriented King Amanullah even encouraged city women to take off the veil, and that became the last straw: the Pashtuns rebelled and Amanullah had to flee. During the 1929 rebellion, a regional Tajik leader succeeded in taking Kabul and became crowned as King Habibullah II. For the first time in Afghan history a king was overthrown by popular revolt, and for the first time it was not a Pashtun who held the throne. The new king, condescendingly called “the son of the water carrier”, was however illiter­ate and soon turned out to be an incompetent leader. Nine months after his accession to the throne he was overthrown, and Nadir Shah – a Pashtun general – was crowned. Through the 1930s, Afghanistan underwent an intense process of pashtunisation. First, to strengthen state control over the non-Pashtun areas in the north, Pashtun nomads were granted land in northern and western Afghanistan. A kind of settlement policy which Abdur Rahman had also used in the late 1800s. Furthermore, an academy was established for the Pashto language in Kabul, and in the constitution of 1931, Pashto became an official national language alongside Persian. When India was divided in 1947, Afghanistan demanded that Pashtuns in the new state of Pakistan should be allowed a referendum to decide on their national affiliation. This demand led to an antagonism between Afghanistan and Pakistan which still exists today.